Over the last several years, many clinical trials in Alzheimer’s disease (AD) have failed and in those with a positive signal, the effect size was of limited magnitude. It has become clear that the molecular mechanisms, which underlie neuronal damage and clinical worsening in AD are complex; maybe even too complex to be sufficiently impacted upon by a single molecular target approach. As in many other diseases, combination therapy might be a way forward to in achieve effects, which eventually are large enough to robustly prove efficacy and to provide patient related benefit. In the issue of the JPAD, the EU/US CTAD task force reports the results of a 2018 meeting on combination therapy in AD (1). Within the amyloid pathway, sequential treatment with BACE inhibitors and anti-amyloid antibodies is proposed as one approach. Unfortunately, as we have recently learned, that efficacy and even safety of BACE inhibitors in symptomatic AD patients are uncertain (2), which has led to discontinuation of the combination TRAILBLAZERALZ Phase 2 trial by Eli Lilly. Still, long term treatment with low dose BACE inhibitor at best before the onset of overt amyloid deposition in cognitively healthy individuals at increased genetic risk for AD, such as in APOE4 carriers, as currently done in the Novartis GENERATION study program (3), is a fascinating idea, in particular, if combined with anti-amyloid antibodies, once fist deposition occurs despite BACE treatment. Similarly, the combination of anti-amyloid treatment with anti-tau approaches is promising. In practice, however, the questions on when to treat whom with what, at which dose, in which sequence and for how long will be even more complex than in single compound trials. Another important way forward is to think beyond amyloid and tau and consider molecular pathways, which are suggested by genetics and basic science, such as the mechanisms of inflammation (4, 5). Systematic search for candidates for repurposing should be stimulated also in this context. Even non-pharmacological interventions should be considered in combination trials as they may enhance efficacy of drugs, which target specific molecular mechanisms. One issue, which is not discussed in the working group report, but which is a crucial initial step for extended combination therapy trials, is the collaboration of pharmaceutical companies to actually test their compounds together in one trial. The Innovative Medicine Initiative (IMI) in Europe is an example of pre-competitive collaborative engagement of pharmaceutical companies, which may be extended to later drug development stages. To facilitate such approaches, companies, academia, regulators and payers have to develop a framework, how such trials can be conducted in a meaningful way and to the benefit of all participants. The authors mention the DIAN-TU framework for adaptive trials. 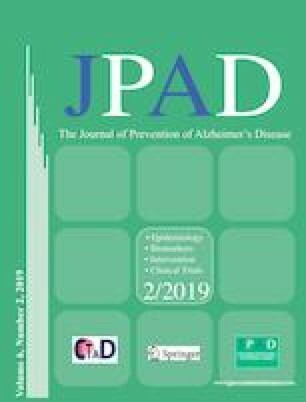 This approach is paralleled by the European Prevention of Alzheimer’s Disease Consortium (EPAD), funded by the IMI, which is providing an adaptive trial design platform for sporadic Alzheimer’s disease and which is currently creating an extended trial ready cohort (https://doi.org/www.ep-ad.org) (6). Since time is pressing and single molecules might be of insufficient strength to impact on disease progression to a needed extend, all efforts should be made to move the concept of combination therapy for AD forward. Declaration of interests: Frank Jessen grants from and is a principle investigator for Eli Lilly, Biogen, EISAI, Roche, Novartis, and Boehringer; and personal fees for consultancy from Eli Lilly, Roche, MSD, Janssen Pharmaceutica, Biogen, and AC Immune.